TEW Galleries is located in The Galleries of Peachtree Hills, Atlanta's newest and finest shopping complex devoted to art, antiques and interiors. 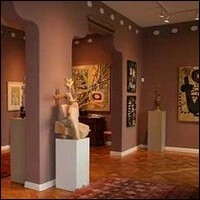 The organization is housed in an elegant, three-story town home that taps into the vibrant energy of the art. Exclusive openings and innovative events ensure that the TEW Galleries community of artists, collectors, designers and consultants, along with its friends, are the first to know about significant new work and emerging trends.